I went to bed at 8pm on Friday night. Was I tired? Yes. But after a week of go, go, go, I've found the thing I need to do is go to sleep early. For the last few months, I've made a special effort to go to the gym on Saturdays before I go to the grocery store. This week, however, I knew that wasn't going to happen. It's that time of year where life is catching up to me and sometimes I just need a Saturday morning at home to relax. Or to grade papers, menu plan, and do some baking. This is where technology comes in. There's a lot of ways that a person can incorporate technology into fitness. The Garmin to track runs and the Fitbit to count steps are the two that come to my mind. I own neither. I tried Scott's Garmin once and I couldn't really figure out how to work it and it served no purpose and I would've been better off going to a class at the gym. This is why I go to classes at the gym in the first place, I suppose. I just show up. I don't have to think or do any of the mental work or planning of what I'm going to do. I mentioned that I've spent the last month using the Sarah Beth Yoga Youtube channel to do at least 10 minutes of yoga each day. Here are two more resources if you're at home and can't get to the gym, but still want to do something beneficial. +doyogawithme.com Angi told me about this site and it is 100% free and customizable for a yoga or Pilates workout. I've used it several times now. I recommend this one. I never knew my abs could move in that way. 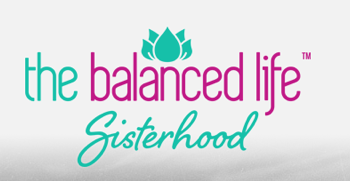 +The Balanced Life Sisterhood. I'm particularly excited about this one. I've followed Robin at The Balanced Life for the last year and, for 2015, she's started a new program that encourages acceptance and balance. It's $9 a month and I'm not exactly paying for a gym membership these days so…well worth it. The program kicks off TODAY, so you still have some time to join. In summary, I have no Garmin. I have no Fitbit. I don't track anything on MyFitnessPal. I do use online resources for workouts almost everyday though, and I think life is much easier for it. Some companies are working harder to help connect a healthy lifestyle with technology as well. Although I don't personally use this service, Oscar Insurance provides Misfit bands to members so they can set daily physical activity goals and track them online or through the company's app. I think that could be a useful tool for anyone looking to track their activity. My husband, for example, never leaves for a run without some device to track his distance and pace. Do you have any online resources for workouts? I learned over the weekend that companies are supplying fitbits in order to encourage healthy lifestyles and that the employees premiums actually GO UP if they don't meet their goals!! Smart but also crazy! Thank you for sharing these sites. I think I'm going to focus on yoga this month and only run twice a week (more only if I feel like it). I like doing workouts at home--I'm too shy/uncomfortable in a gym. You know the other day, I thought about looking for some yoga online and thought of you. I remembered you posted pilates or something like that a while back from online - I want to try yoga but not necessarily in a studio to start. It's like you read my mind, lol. Thanks! I tend to use Pop Sugar and The Bikini Series for quick at home workouts. I also like Leslie Sansone walking for home too!